Sophie has recently joined the team at Pure Dental after previously working in the Retail sector and gaining her degree in 2010 at Truro College in Children and Young Peoples Workforce. Sophie is excited to pursue her career in Dental Nursing as she loves caring for patients and building a friendly rapport with them. Sophie has just flown the nest and bought her own home with her partner bringing along 3 rabbits and 2 guinea pigs! Sophie will often have a ‘games night’ with friends and it has been great to put her own stamp on our house! Sophie gained her degree at Truro College in Children and Young Peoples Workforce. 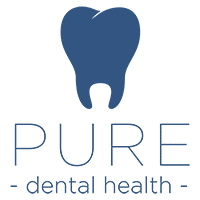 Joined Pure Dental in June 2018 as a Trainee Dental Nurse.